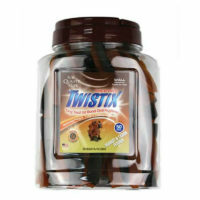 Twistix the brand owned by NPIC, was founded in the year 1986 which aimed to convert plastics into biodegradable substances with the help of vegetable proteins. The brand soon found out that the biodegradable material helped to keep the bones and teeth of dogs strong. The whole team initiated to provide natural treats and chews to dogs and cats. The ingredients used are all natural and safe for both dogs and cats. The objective of the brand is to provide delicious treats to dogs to satisfy their hunger and need. The primary concern is to treat a number of diseases in dogs such as digestive health, puppy teething relief and the like. NPIC consider dogs as family with the vision of providing choice products to them. The focus is to provide nutritious treats to dogs for their healthy living and happy state of mind. The mission is to make owners aware to have happier pets. They also promote the concept of consumer education on animals. Making a healthy relation between owner and pets is their philosophy which is progressed by, Excellent team work, Integrity in all the works done, Provide quality nutrition to pets, Fair and honest in all dealings. They have a mission of gathering investors and charitable organizations to help in the funding and to give pets the best world possible. 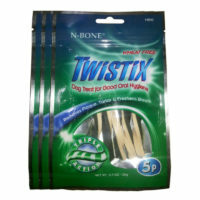 NPIC offers three brands under its umbrella – Twistix, N-Bone and Get Naked. 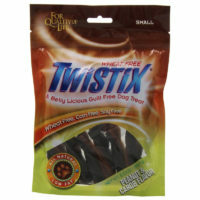 Twistix line of dog treats are designed specifically to address canine dental health. 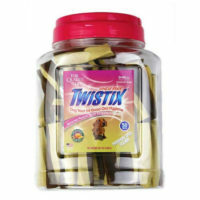 Twistix is deeply committed to creating irresistibly delicious pet chews and treats with a prime focus on natural ingredients and functionality. 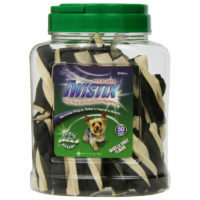 These fun, tasty treats satisfy a dog’s need to chew, while the twisted texture helps to remove plaque and tartar for pleasantly fresh breath. All of the chews and treats are experimented before being packaged for sale. They are checked for their nutrition level and quality. The safety and health of dogs always come first. 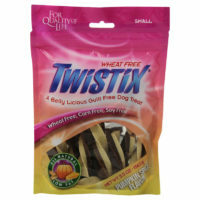 Each section of the treat is a separate, delicious flavour that dogs won’t be able to get enough of. 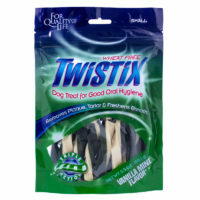 Twistix dental chew sticks are available in five delicious flavours - Vanilla Mint, Peanut & Carob, Pumpkin Spice, Milk & Cheese and Yogurt Banana.